Visit Justia US Law for more information regarding US lighting Laws. White underglow legal or not? Flashing lights are prohibited except on an authorized emergency vehicle, school bus, snow-removal equipment, or on any vehicle as a means of indicating a right or left turn or the presence of a vehicular traffic hazard requiring unusual care in approaching, overtaking, or passing. SECTION 56-5-4840. It shall be unlawful for any person to sell, offer for sale or use any device or equipment which tends to change the original design or performance of any head lamps or any other lamps or reflectors required by law to be attached to motor vehicles, trailers or semitrailers unless the equipment or device has been approved by the director of the department. SECTION 56-5-4530. Either a tail lamp or a separate lamp shall be so constructed and placed as to illuminate with a white light the rear registration plate and render it clearly legible from a distance of fifty feet to the rear. 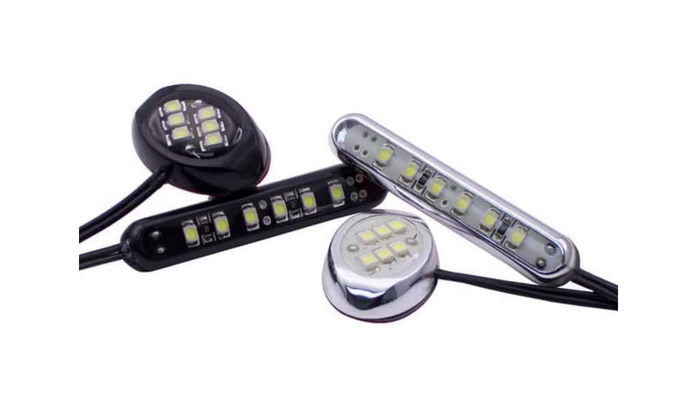 Any tail lamp or tail lamps, together with any separate lamp for illuminating the rear registration plate, shall be so wired as to be lighted whenever the head lamps or auxiliary driving lamps are lighted. SECTION 56-5-4540. It is ok to have any lights on the car as long as they are solid, cannot be seen, and do not draw attention to your car to put anyone around you in harm….The pink license plate frame would be a definite no in this case….As long as your light source (The tubes) are hidden then there will be no problem…You can run any color as long as you do not have red or blue facing the front and visible….As for the wheel well lights as long as the source cannot be seen when lit they should be ok, but be careful because if the light is behind the wheel enough it will look like it is “flashing” and you will be ticketed for that…. Lights in the rear can only be red/amber, no flashing, license plate must be white. If you don’t want to be hastled I would not drive with them on. If the light from the side tubes appears to be a different color you will get stopped and ticketed. One other law you need to watch out for is if the lights are DOT approved. In Texas, and a lot of other states, they have a catch all that if the lights (or other equipment) are not DOT approved then you can be cited for having them on while on a public roadway. You can always light the car up in a parking lot or private event, but watch out on public roadways. Most states it is not legal! However, if the law enforcement in the area is not aware of this usually obscure law then they won’t know to enforce it…..